It could be curtains -at least temporarily – for one of India’s most popular airlines, Jet Airways, on Wednesday. The only ray of hope for Jet Airways and its 16,000-plus employees are lenders, who remained inconclusive about releasing immediate funds to save the 26-year-old airline on Tuesday. A crucial decision is expected today-one that will decide the future of Jet’s employees, who have not got their salaries since January 2019. Jet Airways CEO Vinay Dube has informed lead lender State Bank of India (SBI) that the airline is on the brink of collapse and would be forced to shut flight operations if it does not get any immediate financial help by today. In case lenders decide against releasing Rs 400 crore interim funding, a temporary shutdown of operations at the airline is imminent. The airline’s stocks on BSE sank almost 20 per cent, its worst session in three years. It hit an intra-day low of Rs 213.20 on Tuesday. All of the airline’s staff, especially those at senior designations, have not been paid for the last three months. The overall impact of Jet’s worst financial crisis has been overwhelming for its employees, who are eagerly awaiting lenders’ approval for the release of immediate funds. Non-payment of salaries has put most of the airline’s employees in a state of helplessness, especially those on a lower pay scale like groundstaff and aircraft maintenance engineers. Employees at the airline admitted that non-payment of salaries has put them in a major dilemma. Struggling to cope with finances, many of the airline’s staffers sought jobs at other carriers but got surprisingly low offers. Some who joined other airlines had to take up to 50 per cent salary cut. However, they were forced to take up the jobs as they were being burdened with rising debts. Meanwhile, young pilots-most of whom have spent their entire family’s savings to acquire a flying licence-are also worried by the current situation of the airline. Each of these pilots has paid a heavy sum, up to Rs 88 lakh, to acquire a flying licence under the Jet cadet programme. With huge loans to repay, most of these pilots are on the hunt for jobs. However, their task to secure a new job as a pilot is far from easy. Most of the young pilots do not have the required 1,500 hours of flying experience — the standard required to secure a job at other Indian carriers — under their belt, owing to the growing number of grounded planes at Jet. The airline is just left with five aircraft, out of which a few are expected to be grounded by next week. This will leave the airline with hardly any scope to operate. Despite the financial crisis at Jet Airways, it seems some of the employees have decided to stand by the company, explaining that the airline had survived a financial crisis earlier in 2013. They are hoping for a similar miracle this time as well. 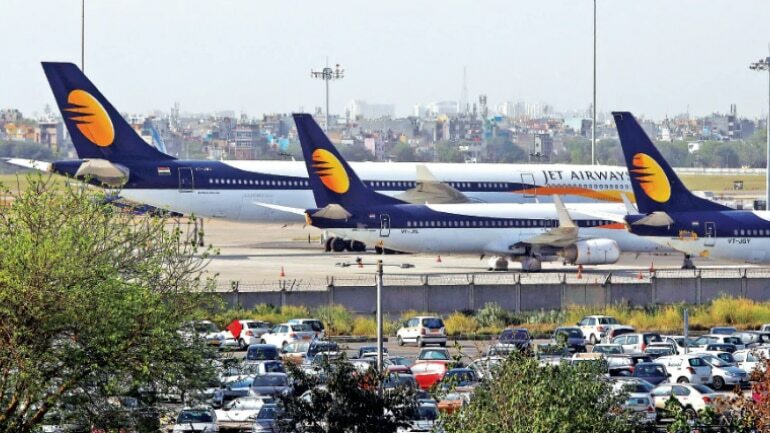 They are confident that the management will be able to turn the tables but analysts say it would not be a viable option to let Jet Airways operate. Experts, on the other hand, indicated that rescuing the airline could be more troublesome as it would require way more than Rs 400 crore to get the airline up and running. 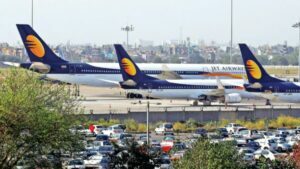 Jet Airways, which is currently sitting on a debt of over Rs 8,500 crore, will become the second major airline to collapse due to unsuitable global conditions and higher aviation turbine fuel prices. The first one to collapse due to similar reasons was beleaguered businessman Vijay Mallya’s Kingfisher Airlines. It remains to be seen whether lenders pull Jet Airways out of its financial crisis by pumping in Rs 400 crore immediately or wait till a new investor is found. However, the latter could be too late for the airline to survive. Mining is back, with jobs!